The U.S. Patent and Trademark Office on Thursday published its latest round of new Apple patents, including a new Siri-based call management feature for iPhone. As you’ll see in the images below, the concept is illustrated with Siri possibly drawing upon key data and iOS feature settings to curate and dispatch more location, time, or otherwise specific call rejection Messages. 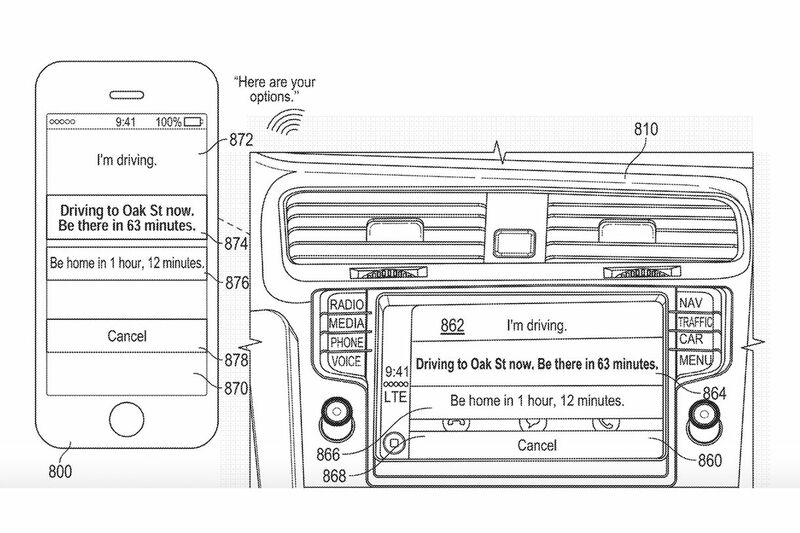 Titled “Intelligent Digital Assistant for Declining an Incoming Call,” Apple’s patent No. 20180146089 specifically describes “systems and processes for operating a digital assistant” (i.e., Siri) in such a way that she could adaptively and intelligently respond to incoming calls with unique, curated rejection Messages. As noted by The Verge, the Siri-based feature could be instrumental for those who either need or simply want to decline an incoming call, but want to be a bit more courteous, as to the status of their whereabouts. In this sense, as opposed to selecting from the general slate of default responses like “On my way,” Siri might be able to access key location or app data to compile and send a more situation-specific response. Images extracted from Apple’s patent application illustrate the possibility of Siri drawing upon Apple Maps location data, and suggesting a Message reply including information like the street you just turned on, and/or how long until you’ll arrive. In another example, Siri could potentially identify the caller by their contact name (i.e., boss) while presenting various curated responses tailored to that caller. Additionally, Apple’s patent illustrates examples of the feature being employed wirelessly via Apple CarPlay. Of course, seeing as this is merely a patent application, there’s no telling when or even if this proposed Siri call management tool will arrive on iPhone. 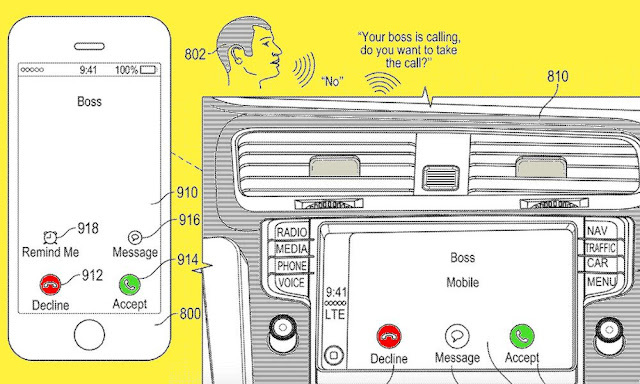 Conceptually speaking, the software-based feature outlined in this patent seems like a fitting evolution of the Do Not Disturb While Driving feature Apple introduced for iPhone on iOS 11. Similarly, this feature is able to automatically alert a caller that the reason they’re unable to answer is because they’re currently driving — so Apple’s idea, in a sense, is just an advancement of Do Not Disturb While Driving, enabling Siri to customize and send these automatic responses with a more personal touch.